Fall is finally here. It’s one of my families’ favorite seasons. Can you imagine living somewhere without Fall? I can’t. Wisconsin is perfect for Fall lovers. Below I put together my personal Fall Bucket List and may I say it is very Festive. I hope you enjoy Fall as much as we do! 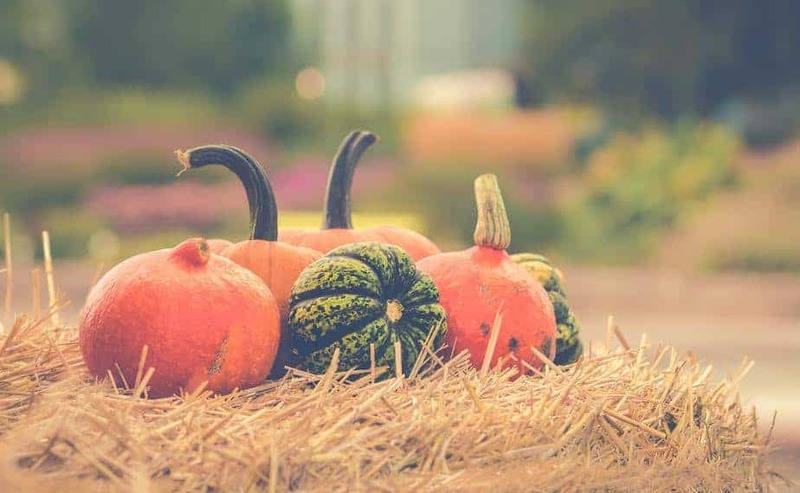 Share your favorite Fall activities in the comments below. Check out the GRAND OPENING of the new Fleet Farm in Delavan on October 20!! At Fleet Farm tradition – the biggest selection of the hottest toys at low Fleet prices. TOYLAND IS OPENING ON FRIDAY OCTOBER 19th at 7:00 am at the Delevan store! All Day Doorbusters on October 19, 20, and 21! Come early on to get your FREE Melissa & Doug exclusive puzzle. There will be in the Delevan store a TWO-DAY BLACK FRIDAY EVENT on November 23 and 24th .Doors open 6am Friday. First 500 customers get a plush sloth. Pick apples and come up with a new apple recipe, preferably a desert one. Update the mantel with fall decor items. We’ve done this already and my son was in heaven. He loves helping to decorate for new seasons. Open the windows and let the fresh air in. I LOVE having fresh air come in the house. It’s the one time of year that the air and heat are both off (saving money, cha ching) and the house is full of fall air. Visit a pumpkin patch or 5! The Lake Country and surrounding areas have so many pumpkin farms. It’s hard not to do them all! Especially if I can sneak out on a week day when the crowds are smaller. Build leaf piles over and over and jump in them with the kids! This is the favorite memory my kids have from last fall. They love it. Take a nature hike and enjoy the fall colors. Our favorite is Lapham Peak tower because it’s right by our house and you can see for miles and miles from the top. Lapham Peak also features the famous, “Fright Hike“. Navigate a corn maze. Never done this before with the kids, but I think it’s time. Get spooked at a haunted house. We have an annual girl-friend outing to a local spook. Can’t wait. Carve pumpkins and roast the seeds. I rinse them and pat them dry then bake at 300 for 45 minutes. Sprinkle with salt before baking. Stir occasionally and monitor. You want golden brown. Attend some fall Beer Gardens! Yay, Lake Country for having some great beer gardens that go through end of October. Watch a scary movie. Something about those days really up the scare factor. Visit Milwaukee ZOO. We cannot do fall without this. 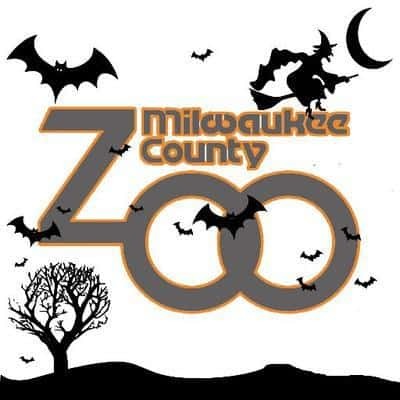 There are two weekends – the Boo at the Zoo and the following weekend is the Halloween Spooktacular at the zoo. Go for a fall run! Nothing like running in cooler weather with leaves crunching under your feet to get you to go that extra mile. Put my feet up and watch football games on Sunday afternoons with a pot of chili or butternut squash on the stove and the pumpkin candle lit. I tried a new recipe this year for my paleo hubby and it is delicious – Roasted Autumn vegetable soup. Preserve pretty fall leaves with wax paper – and make it a fun project with my kids. Here’s one way to do it. Eat caramel apples. Try not to eat more than 1. This year, we are going to go to Little Amerricka to ride the Pumpkin Train. Check them out in our Train Guide in the Fall section. 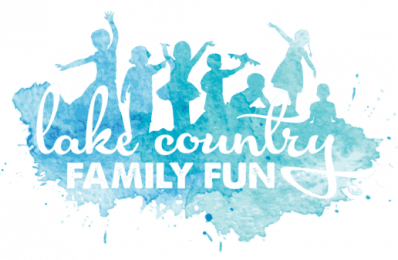 Lots of fun in fall for train lovers! Enjoy fall flavored coffee in fall sweaters and boots. Check out the list of all of Lake Country’s local Coffee Shops. 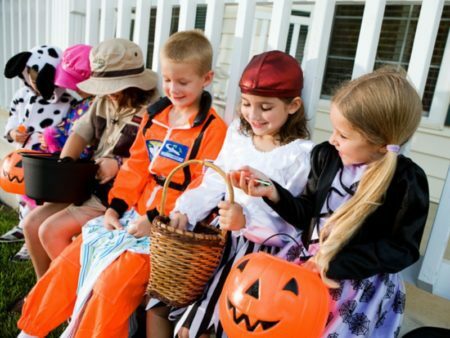 Go Trick or Treating – like, multiple times. We check the Trick or Treat guide and join friends in various cities on various days to get the most out of our costumes. Then we donate extra candy to candy buy back programs (and keep some good chocolate pieces in the freezer for enjoyment all year long). Attend local fall festivals and events – as MANY as we can. A good list can be found here. 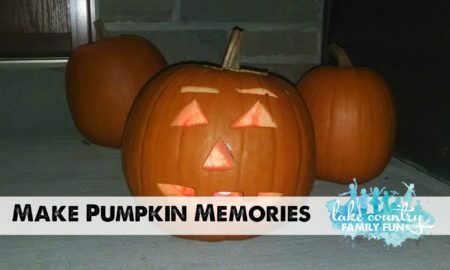 The Jack-o-Lantern Jaunt in Mukwonago is one we’ve been wanting to try. We also love the Howl-a-ween event at Retzer Nature Center. Oh, and this year the Grand Pumpkin Illumination in Delafield will be even better because it will be part of the annual Delafield Halloween Events! Attend fall rummage sales. Kids seem to have grown out of their winter clothes since last year. Attend the China Lights event in town through October 21st! Go for a night pumpkin train ride! It’s such a fun, FREE time. It’s close to my parent’s house, so we make a night of it, but it’s a little north of Waukesha County. Worth it! Make divine pumpkin bread. Recipe here. Last but not least, schedule some snow plowing services because, sigh, it is coming eventually.